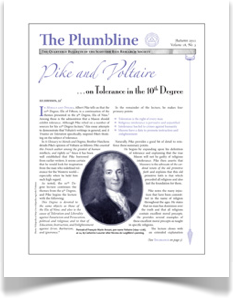 As a member of the Scottish Rite Research Society, you will also receive our quarterly research journal, The Plumbline. The SRRS editorial board receives many manuscripts on Masonic history, philosophy, esoterica, customs, traditions, current interest commentary, and related subjects. The Plumbline focuses on research in such areas. Our mission is to provide our readership with scholarly, detailed writing about Freemasonry and the fraternal experience, as well as news and information about current events in the Scottish Rite and Freemasonry in general. Many magazines of Masonic interest are published in the United States and other countries. 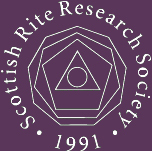 The Society’s goal is to present no less than the finest journal of Masonic research available, with emphasis on the matters related to the Scottish Rite. If you are a writer and have a manuscript that you would like to be considered for publication in The Plumbline, please contact the editor (Adam Kendall, 32°, K.·.C.·.C.·.H.·.) by e-mail at AKendall@ScottishRite.org. All manuscripts must be submitted electronically and must follow the Guidelines of the Stylesheet.